Photo taken in in the Mustang Gallery at the Philadelphia Auto Show. 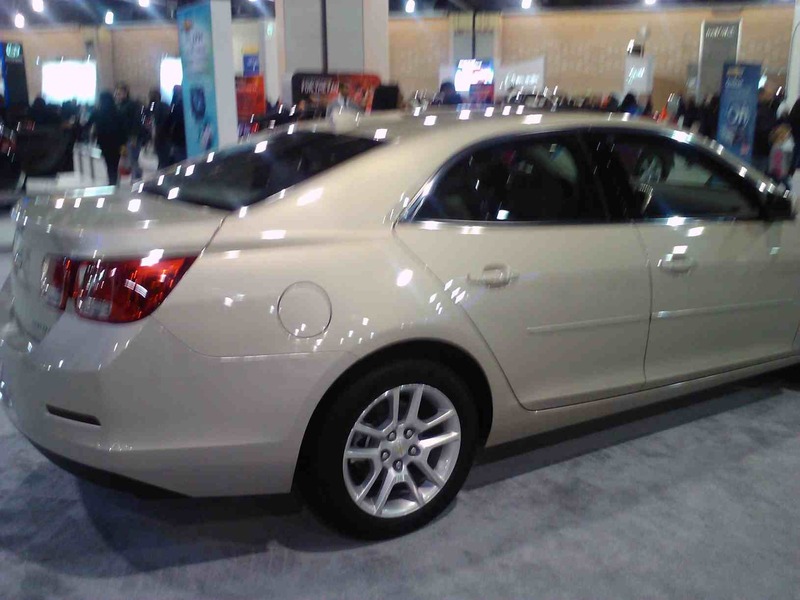 It is always fun to go to the Philadelphia Auto Show. Like last year, I was really impressed with some of the technology being used to achieve higher miles per gallon (mpg). Aside from the obvious choice (hybrids), manufacturers are using lots of techniques to meet the mandates of the government and a growing sector of the market. The most well known choices are hybrids (including plug-ins) and electric cars. Diesels have good reputations for gas mileage also. Less well-known are some of the ways manufacturers are improving the mpg performance of regular gasoline engine powered cars (in addition to making them lighter). At the show, I noticed that direct injection, continuously variable transmissions (CVT), and turbo-charging tended to appear in many manufacturers’ “eco” engines. Direct injection improves how the fuel gets into the pistons, making them more efficient. In laymen’s terms (my level) the CVT essentially creates more gears in an automatic transmission. This results in a more efficient use of the transmission at any given speed. Numerous manufacturers are reporting good results from their newer engines. In Europe, for example Volvo’s T4 engine has delivered 35-45 mpg (city/highway) PLUS excellent torque with ample horsepower. Equally importantly in many people’s eyes, the T4 goes from 0 to 60 mph in about 6 seconds. This is an example of the fact that for many people, mpg is very important, but other factors (such as power) are pretty important also. Volvo is so pleased with the T4 engine that it plans to standardize its entire fleet with the T4 by 2015 as well as introduce the T45 engine to the US. In terms of standardization, both Ford and Chevrolet are coming close to standardizing their “eco” engines across certain models. 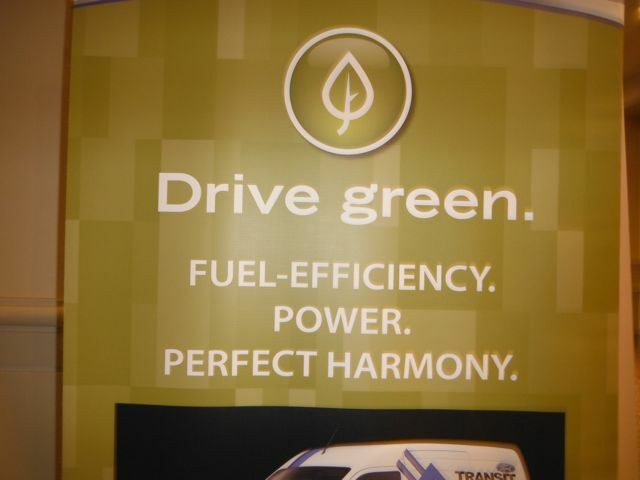 Ford has announced that it plans to produce 1.5 million cars with its “Ecoboost” technology in 2013 (I assume worldwide). Within a couple of years, 98% of Ford’s (car) models will have the CVT technology. For its part, Chevrolet uses an Ecotech engine with similar CVT and direct injection features on its Malibu and, more interestingly, as an option on some Silverado trucks. The Silverados even have a “fuel management” feature, which automatically switches the engine from a V6 (or V8) to a V4 cylinder in terms of fuel usage. Additionally, both the Malibu and the Silverado have become lighter in recent years. I am particularly impressed with Mazda’s Skyactiv engine system. It includes the direct injection and CVT components, but it also includes a piston redesign and very high compression ratios (13:1). The piston are now dome capped, vs. flat-capped before. This allows more airflow per piston cycle. They also substituted hi-tensile (lighter) steel for the heavier steel. This helps with weight reduction and reduces internal friction as well. Gas engines have come a long way. I like hybrids, and think electric cars are wonderful. The market for them is certainly growing. However, many millions of people will continue to buy cars with gas engines into the foreseeable future. I’m all for anything the manufacturers can do to improve the miles per gallon performance of the basic gasoline engine. The bottom line is that the car is using less fuel. I am very curious to see what will be available when I have to buy my next car. The automobile, with its gas engine, is perhaps the strongest symbol of an economy powered (and driven) by fossil fuels. It may surprise the reader to learn that at one time, the gasoline engine was only one of numerous competing technologies. In the early 20th Century, the gasoline engine won. In the early 21st Century, there is another competition for engine technology. The incumbent is the standard gas engine, while some of the challengers are gas-electric hybrid, electric only, diesel, diesel-electric hybrids, etc. From a sustainability perspective, none of the challengers have to dethrone the incumbent; they just need enough people to buy them to keep them in business. If these technologies are commercially successful at all, then the amount of petroleum needed for transportation will go down, even if only incrementally. Model years 2010 and 2011 (and to a lesser extent, 2012) are shaping up to be critical years for automobile engine technology. The most well known challengers are gas-electric hybrids like the Toyota Prius, Honda Insight, Ford Escape, etc. In 2010, for the first time in recent memory, a primarily electric car will be on the market, courtesy of the GM Chevy Volt—40 mile range, around $40,000. Nissan is promising a 100- mile range vehicle (the Leaf), available in the US by the end of 2010. Renault’s all electric entry, announced at the recent Frankfurt Auto Show, will follow in 2011. (If you are a lucky New Yorker, you are road testing an all-electric BMW Mini Cooper slated for launch in 2012). All of these electric cars feature rechargeable batteries. At the same time, other “greener car” technologies are in various stages of development. Companies like Toyota and Ford are expanding and improving their hybrid product line. Volkswagen is testing diesel-electric models. Diesel is also gaining more attention as a fuel-efficient alternative to the conventional gas engine. Subaru is one company (along with Volkswagen) working on this kind of technology. And, other companies are trying to make the conventional gas engine more efficient with better gas mileage. All of this activity implies that the manufacturers feel that a market exists to buy some kind of electric or hybrid car. Does it? That is open question. Some elements of the auto industry are rather dubious. The head of Audi North America has been quoted as saying that no one will pay $40,000 for a Chevy Volt (electric) when there are numerous competitive gas engine options for $25,000. And there have many comments to the effect that buying a Toyota Prius does not make sense because you cannot save enough in gas money to make up for the hybrid price differential. So therefore, the argument goes, only a few people will buy these cars. This flies in the face of the success of the Prius and other hybrids, especially during last year’s spike in gas prices. Even if the “green car” buyers are only a segment—so what? There are many segments of the auto market. There are SUV buyers, truck buyers, muscle car aficionados, family minivans, cruisers, etc. Those segments thrive. The evidence is anecdotal, but I do think that there are enough people to make a segment of buyers for some version of electric or hybrid cars. After all, almost all of the world’s carmakers are developing some sort of non-gas engine technology. The skeptics are also forgetting that new technologies in many fields tend to come down in price as they get introduced into the market place. Also, if something becomes fashionable, cost becomes a whole lot less important if it is even remotely competitive. If enough people buy these cars, then “electrics” or “hybrids” will become a sustainable segment in the auto market. When it comes time for me to buy another car, hopefully I can join one of these segments.